Nestled northeast of Santa Fe, New Mexico, on the edge of the Pecos Wilderness and the Santa Fe National Forest, the community of Pecos offers an exceptional location, gorgeous natural scenery, beautiful residences, and much more. Regardless of your interests, you will not struggle to find enjoyable activities to fill your free time when you choose to live in this community. 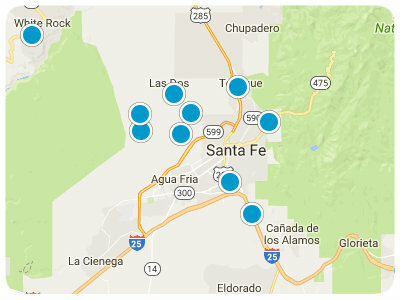 Available properties in Pecos will appeal to a wide variety of homebuyers. Whether you are looking for a single-family home with riverfront views of the Pecos River or a single-family home with a log cabin or Pueblo style, you are sure to find something in this community that piques your interest. Single-family homes for sale in Pecos, Santa Fe, are ready to impress you, so now is the time to consider what it would be like to live in this community. This community’s location ensures that you will not have the chance to be bored. If you like spending time outdoors soaking in the warm sunshine, then you will appreciate the proximity of the astonishing Pecos Wilderness. Encompassing over 220,000 acres of wilderness, this area offers the chance to hike, horseback ride, backpack, and much more. If you are interested in history, you will also enjoy exploring at Pecos National Historic Park. The ruins at this park are especially interesting. When you are ready for a more metropolitan adventure, look no further than Santa Fe. This dynamic city is approximately 25 miles from Pecos, so you will be able to attend captivating live performances, explore interesting museums, browse impressive art galleries, attend fun local festivals, and much more. No matter where your adventures lead you, you will be content to think of your Pecos single-family home awaiting your return. Ample entertainment opportunities, spectacular natural beauty, and lovely residences are only a few examples of what you will enjoy about living in this neighborhood. Pecos, Santa Fe, real estate options are ready for your consideration, so now is the time to come see this neighborhood’s beauty firsthand. If you are ready for more information regarding outstanding homes for sale in Pecos, Santa Fe, please do not hesitate to contact us. Wonderful two side-by-side wooded and tree covered 1 acre lots in Pecos, New Mexico. These lots are flat where electric and phone lines are nearby.